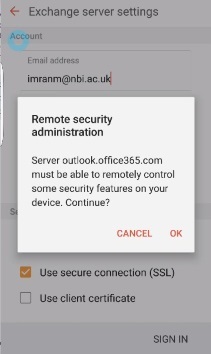 Outlook on the Web is the online version of Outlook that just needs a browser to access it. 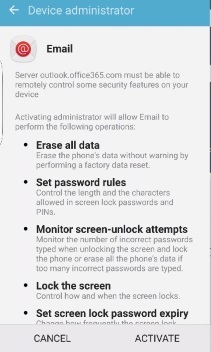 There’s nothing to configure and no server settings to remember. 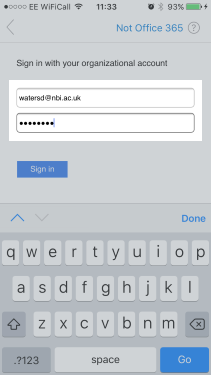 Browse to https://outlook.com/nbi.ac.uk and login using your “UPN” (in the format username@nbi.ac.uk) and normal NBI password. 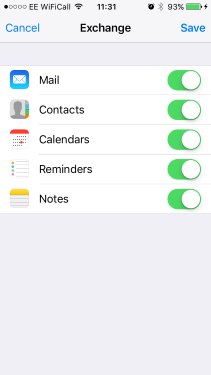 You have full access to your e-mails, calendar, contacts and tasks. 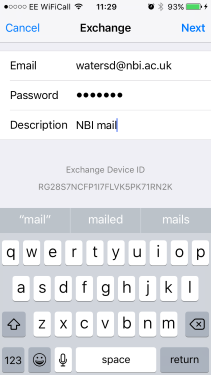 Any other NBI mailboxes to which you have access can be viewed as well. 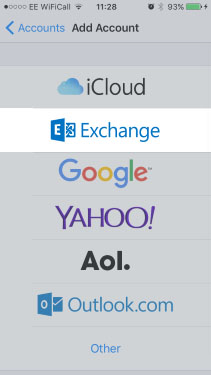 There are also links to Skype for Business and your OneDrive for Business storage. 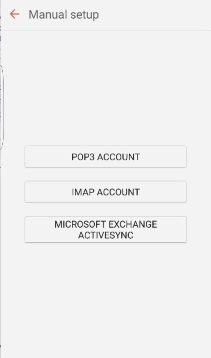 You’ll get the best experience by using the Outlook for iOS/Android app to access your e-mails. 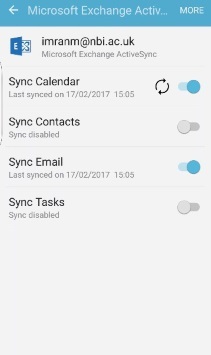 Outlook also gives you access your calendar and OneDrive for Business, and any personal accountsd can also be added in. 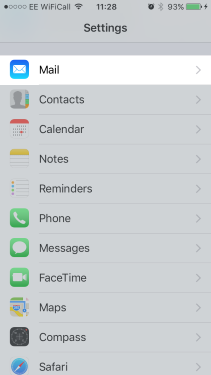 This is available for free in the Apple Store and Google Play stores. 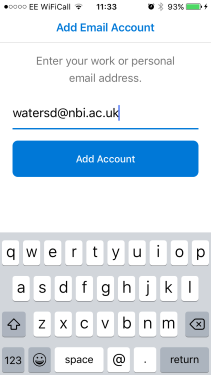 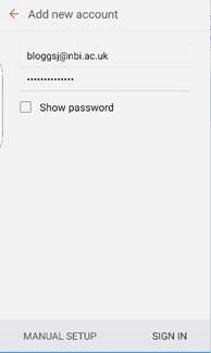 Once you’ve downloaded the app and launched Outlook, you need to configure your e-mail by using your username@nbi.ac.uk.Then tap on Add Account. 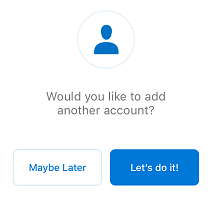 Optionally add any personal accounts to Outlook and after that you are ready to go. 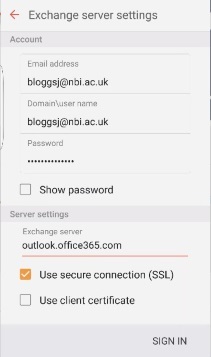 Exchange server name is outlook.office365.com and SSL should be ticked.